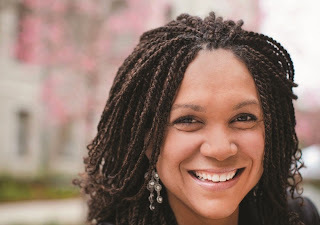 MSNBC contributor Melissa Harris-Perry is the latest addition to MSNBC’s expanding weekend lineup. Her new program, set to air Saturdays and Sundays 10a-noon ET, will debut on MSNBC February 4th. The announcement was made by MSNBC President Phil Griffin. Chris Hayes will continue to lead off MSNBC’s weekend programming with his popular roundtable program ‘Up,’ which will begin airing from 8-10am ET on both Saturdays and Sundays. MSNBC anchor Alex Witt will expand MSNBC’s live news coverage in both the morning and the afternoon, with “Weekends with Alex Witt” airing 7-8a ET Saturdays and noon-2p ET on Saturdays and Sundays. Harris-Perry, a long-standing political analyst and contributor to MSNBC, is a frequent guest of “PoliticsNation” with Rev. Al Sharpton, and also serves as occasional host of “The Rachel Maddow Show” and “The Last Word.” A highly accomplished author, scholar and speaker, Harris-Perry’s new program will continue MSNBC’s trend of bringing intelligent, informed voices to the cable channel’s weekend programming.